LGC Webinar - Will this era of austerity force change? LGC invites you to view an exclusive webinar, ‘Will this era of austerity force change?’, in association with Civica. Local government faces a time of both crisis and opportunity. There is a danger that the era of austerity will lead to more and more salami cuts. But there is also the possibility that it will inspire innovative thinking and whole system transformation. 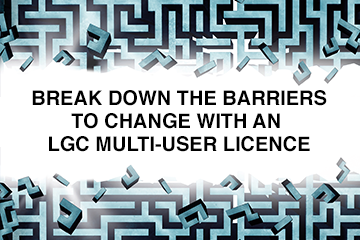 This LGC webinar will explore what needs to happen if austerity is to stimulate innovation. It will bring together people who have hands-on experience of addressing this issue including local government practitioners and representatives of Civica who have helped councils to ensure that this crisis isn’t wasted. Sue Smith, chief executive, Cherwell DC and South Northamptonshire Council.